Simple todo checklist app with iPhone syncing. Is there a better alternative to Dropkick? Is Dropkick really the best app in Personal Info Managers category? Will Dropkick work good on macOS 10.13.4? 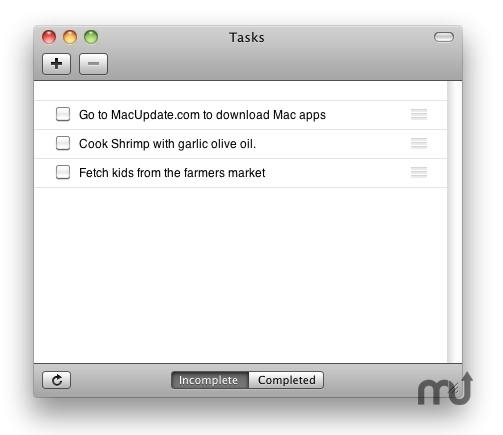 Dropkick is a super simple todo task management app. Make a list of things that you have to accomplish and check them off as they are completed. Dropkick supports automatic syncing with the Dropkick for iPhone app (sign-up in the menu bar). Data syncing is secure of SSL. Dropkick needs a rating. Be the first to rate this app and get the discussion started!